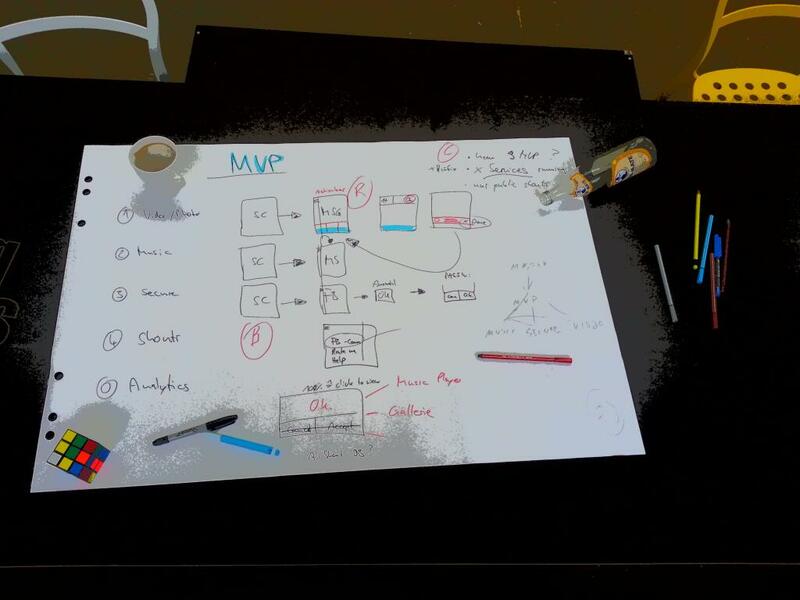 We have been brainstorming what kind of MVPs we could develop as derivatives of shoutr BETA. We decided that it would be best to do a zoom in. Consequently, we took three of the major aspects of shoutr BETA (sharing music, sharing photos/videos and providing users with a secure way to exchange files) and turned them into stand-alone apps. How did we do that? We used the weekend to do an internal hackathon to break down shoutr BETA and put it back to together in different ways. We did not quite finish the MVPs during the weekend, but will roll them out this week. In terms of customer development we talked with a member of ICT4D, Amir Kiyaei. ICT4D is an organization that seeks to harvest the power of information technology in order to improve conditions in developing countries. Amir is currently working on projects in the townships of Capetown, South Africa. He told us that a considerable number of people living in the townships have Android phones. However, a mobile Internet connection is quite costly for them. So they are not going to use the precious megabytes they have purchased for sharing big files, such as videos and music. This is where we come in. Shoutr can provide a way for them to exchange data without any cost. Amir said he would go down into one of the townships and show the people there what shoutr can do and if they have a use for it. We are going to chat on skype again this week and hear what he learned. We are really excited about it. We also have some learnings to share from an experiment that we ran last week. While writing down our conclusions, however, we noticed that it became a rather lengthy text. Because of that we have decided to include it in a different post, which will go out on Thursday. So keep an eye open for it. Gameplan of our internal hackathon.